While smartphone sales growth is slowing in many mature markets, annual shipments in the Middle East & Africa grew by 31 percent in Q3, nearly 3x faster than the global rate. Apple's premium iPhone sales grew by 133 percent in the region to enter the top five vendors by volume. The MEA region "is the next frontier and key geography for smartphone growth as growth across some of the major markets across Latin America, Asia continue to slow down," reported Neil Shah of Counterpoint Research in a report obtained by AppleInsider. "This region is not only huge geographically but is also quite diverse i.e. home to some of the most underpenetrated emerging as well as some richer mobile phone markets in the world." The Counterpoint Research report noted that region has been dominated by Samsung, which last year accounted for nearly 50 percent of smartphone shipments. The firm credited the company's "stronger pan-MEA distribution network" in helping Samsung to "maintain significant volumes in the region." Over the past year however, Samsung has lost nearly a fifth of its shipment volumes, despite the fact that buyers in the region are increasingly upgrading to more sophisticated smartphones; more than half of the total phones sold in MEA are now considered smartphones. Given that less than one third of the smartphones sold in MEA are LTE-capable, that indicates that Apple now sells around ten percent of the premium, LTE smartphones sold in the region. While Samsung's share slipped by 8.7 percentage points, China's Huawei claimed 2.3 percentage points of growth to take second place in volume shipments. Tecno, based in Africa, grew its sales by 123 percent, increasing its share of smartphone volume sales by 3.4 percentage points, aided by expansion efforts fueled by "competitive mid-tier smartphones." Apple's 133 percent annual growth came at the expense of Samsung and Sony, the report noted, with a "focus on premium markets in the region," which helped the company to increase its share by 1.7 percentage points, to 3.9 percent of all smartphone shipments in the September quarter. Given that less than one third of the smartphones sold in MEA are LTE-capable, that indicates that Apple now sells around ten percent of the premium, LTE smartphones sold in the region. The firm speculated that the rumored iPhone 6c "could boost growth of Apple's user base in the higher volume emerging markets of MEA." 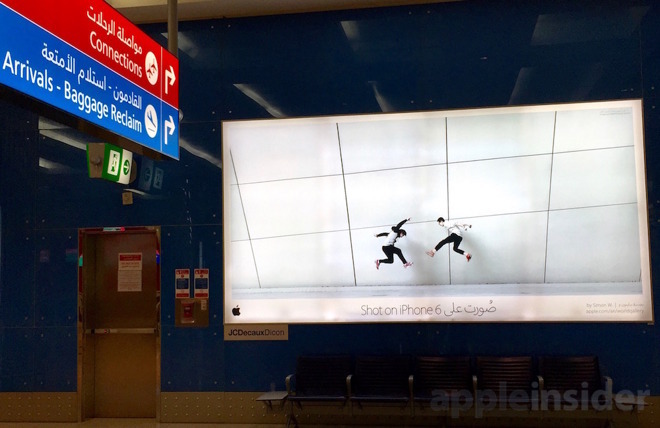 Apple just opened two new retail flagship stores in the United Arab Emirates, a major shopping destination not only for the Middle East, but also India, an emerging market that only recently has become a $1 billion market for Apple. Due to relatively high import taxes and an unfavorable currency exchange, iPhone prices in India are among the highest in the world. That sends many Indian residents to locations like Dubai to shop. In a tweet earlier today, Shaw noted that 16 of 26 iPhone 6s buyers in India--over 60 percent--reported that they had bought their new phone abroad, either in the U.S. or in Dubai.